We have all had the flu or cold at some point in our lives. We know the symptoms and know which over-the-counter medicines help alleviate some of the pains and pressure. However, at what point should you visit a doctor before symptoms escalate and you find yourself in the ER or ICU? Two months ago, my mother was hospitalized and diagnosed with pneumonia. She was in the Intensive Care Unit for three days fighting for her life. The cause of her hospitalization? Exhaustion and stress. By simply ignoring the symptoms of the flu and continuously rescheduling her doctor appointment, her flu led to bronchitis which then led to pneumonia with respiratory failure. Five weeks of hospitalization to treat her pneumonia took a toll on my mother’s mind and body. She lost a lot of weight: She was fragile and weak. Slowly she had to rebuild her appetite, strength, and health. When she was released from the hospital, the doctor’s prescription was quite simple: eat a lot of vegetables, fruits, protein, nuts, vitamin C and get plenty of rest and sleep. Start exercising with ten minute walks and most importantly take it slow. So simple and so easy, yet very seldom do we follow these basic rules. My mother’s trauma was my moment of realization. I realized I cannot use my “youth” as an excuse and take my health for granted. I should honor my body, treat it with respect and give it the attention it deserves. I held myself accountable to follow the same prescription my mother was given by her doctor. I downloaded MyFitnessPal and started adding my workouts and daily food intake to actually see my daily habits. I programed my bedtime on my iPhone to get a solid seven hours of sleep. Finally, I created a list of all the doctors I needed to visit. Annual check-ups are necessary! I am also a firm believer of healing your body internally. When your organs, energy levels, and bone alignments are centered and in sync you feel more vibrant and because everything is moving at the same speed, your internal glow becomes infectious. Two doctors that allowed me to see noticeable changes in my body and my mind were my chiropractor and acupuncturist. After the first six sessions with my chiropractor, I had not taken any medication for my allergies and most importantly my posture felt stronger. My acupuncturist allowed me to understand that I needed to restore balance in my body and correct my energy flow. After a few sessions, I slept through the nights peacefully and I felt more rejuvenated. It was not until after my mother’s trauma I began to take my health more seriously. Damages over the years cannot be undone and fixed in a session or even a month. However, six months from now I will truly feel the difference. It is ironic how money is never a problem when we decide to meet up with friends for dinner or drinks, when we purchase event tickets or go on a shopping spree. The moment we visit a doctor and have to pay $50 co-payment all of a sudden we factor these costs into our budget and cancel appointments immediately because medical bills get expensive. Please do yourself a favor, let my mother’s experience also be a lesson for you. She was fighting for her life for three days in ICU. Do not wait until your condition is at its worse to see a doctor. What can be an easy cure can also be very fatal if not treated early. Invest in your health. 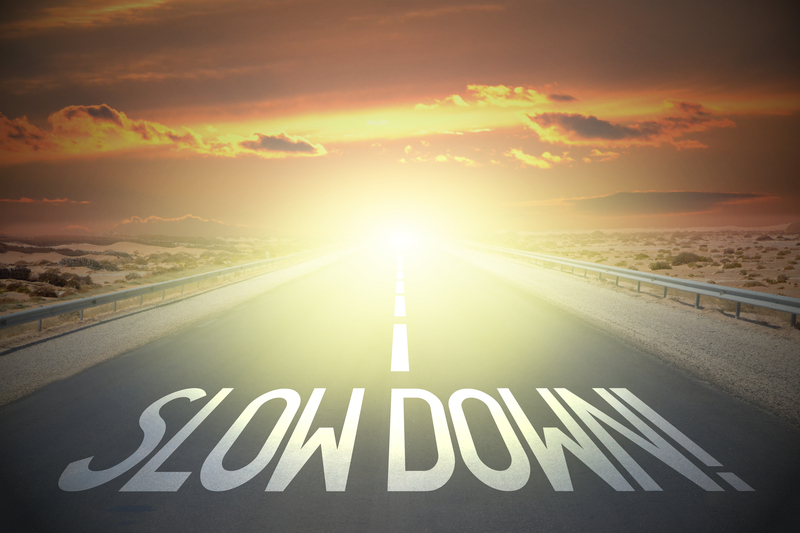 Slow down, listen to your body and make a mindful decision to make your health a priority. Create subtle changes in your daily habits to work towards a long and healthy life!